Do you know that for almost every new car that is bought, there’s an approximate 20% loss in the car value the moment you purchase it? This is where GAP Insurance comes in as it covers the gap/difference between a vehicle’s worth and the incurred debt. For people that are solely responsible for their vehicle finances, it’s not likely for their car’s value to exceed or equal that amount which they paid to cover up for the loan. Thus, it’s wise for anyone who purchases a car on loan or a lease to go for a GAP (Guaranteed Auto Protection) insurance. This insurance is imperative if the buyer made less than 20% payment upfront or rolled over a negative equity from an existing car loan into a new one. GAP insurance is a type of insurance that helps to seal the vacuum between the amount of money that’s yet to be paid by a car owner for a car loan and what the insurance company the person registered with will pay out. It’s very useful for those who’re victims of a car wreck or car theft. Obtaining a GAP insurance will be a great deal if the financed vehicle car that is financed has a high depreciation rate in its cost value. Collision and comprehensive insurance coverage are needed to ensure that a GAP insurance policy is validated. Extra protection is sometimes offered by a GAP insurance if there is a complete loss of the vehicle or car theft (so far you’ve financed the car for over four years). GAP insurance provides an incredible coverage that protects your family in the event of a vehicle loss. For households with a single car, this is a great bonus as it might be hard for them to cope without mobility as well as pay their outstanding balance. 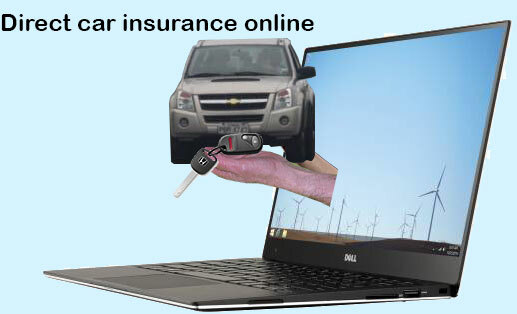 Some auto insurance companies offer GAP policies for sale at any point in time of the lease. Most people, however, show a preference for purchasing GAP insurance after the initiation of a contract. Here, it should be stressed that the compliance with terms and conditions of the lease is necessary before buying a GAP insurance. GAP insurance offers coverage for a customer’s deductible; you stand to gain a lot from buying GAP policies. GAP insurance does not cover the period of extended warranties that are added to the car, a rental vehicle while it remains in the shop, a down payment for a new car, repairs made to the car and the balance of an outstanding loan when the car is repossessed. It also does not cover car payments in the case of financial difficulty, loss of employment death or disability. Is it worthy to have a GAP Insurance? It’s a known fact that a regular auto insurance might not cover for a car loss due to collision with another vehicle or car theft. Hence, a car GAP insurance is a necessity because you can never be certain of when you’ll be in need of it. Despite the fact that majority think it’s a waste of time and resources to opt for an auto GAP insurance, it can save you lots of stress if you have one (particularly in terms of recovering from a financial loss that’s attached to car theft or car crash). Is there any difference between a car GAP insurance and a car auto insurance? Car auto insurance caters for the payment of the current cash value of the car to the lender and it’s not designed to cover the balance of the car loan. Besides that, depending on the kind of vehicle, it could be quite expensive. In contrast, if you’re with car GAP insurance, it is expected of the insurer to pay the difference in cost value that’s lost within a year. This payment can be used as a part payment for the cash value of the car to the lender. GAP insurance is appropriate for what category of people? * A car GAP insurance is considered a good idea for those that bought their vehicles on lease/loan. Thus, if you’re yet to make a down payment for purchasing a car on lease/loan, your surest option is GAP insurance. * It’s also a good choice for people that; finance for five years or more, lease a car, deposited less than 20% down payment for the purchased car, drive more than an average distance of approximately 15,000 miles or bought a car with a history of increased depreciation rates. If you also rolled a negative equity from a previous car loan into a new loan (as earlier mentioned), then GAP insurance is advisable for you. What’s the cost of GAP insurance? There are different costs of GAP insurance depending on the particular insurance country and location. The cost of car GAP insurance, however, depreciates along with the cost of collision and as the car ages with time. Rodney D Young insurance can prevent you from finding yourself in an awful mess of a total vehicle loss. Just ensure that you get your car GAP insurance at any time from Rodney D. Young Insurance. It’s also advisable to procure your car GAP insurance from Rodney D. Young Insurance – an insurance dealer that offers a levelheaded price.